If you love the idea of AirPods or Bragis, but can’t stomach their price tags, SmartOmi makes an affordable alternative with solid reviews. 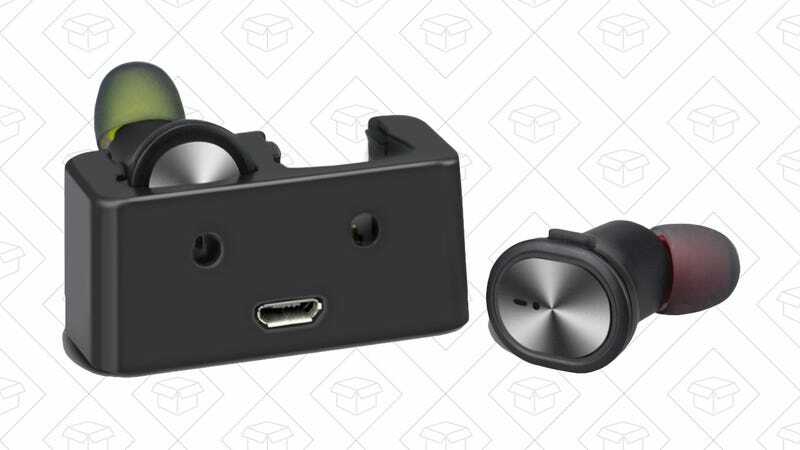 For a limited time, promo code 3IHBW3C7 knocks the SmartOmi Boots from $76 down to $55, which is one of the best prices we’ve ever seen on truly wireless earbuds. I’ve never tried these myself, but I have had some hands-on time with other ultra-affordable wireless headphones, and they did work surprisingly well, albeit with a few compromises. The big thing you’ll be missing out on here is extended battery life. These buds do come with a case (more of a tiny dock, really) that will charge them, but it has to be plugged in via microUSB to do it; there’s no built-in battery to top off the earbuds like you’d see with AirPods or Bragis. That’s a bit of an issue when they’re only rated for five hours of use at a time, but at 1/3 the price of AirPods, you might be able to overlook it.